National Pet Day is April 11, which is the perfect time to give your furry friends some extra love. But the lovable, inquisitive nature of dogs and cats can also get them into a heap of trouble. There are many budget friendly ways to pet-proof your home, keeping your pets and possessions safe. Pet-proofing can save you money and heartache in the long run, avoiding damaged property or trips to the vet. 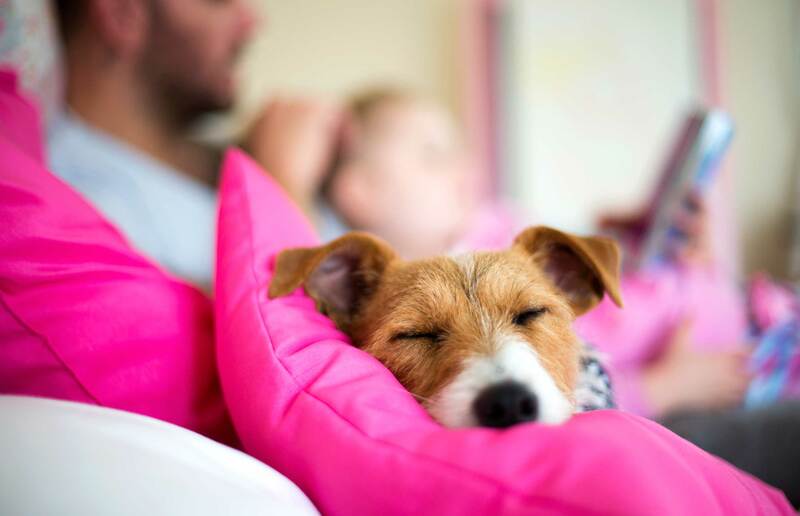 In honor of National Pet Day, here are eight affordable ways to pet-proof your home. Your pets may view your shoes, sunglasses, and other valuable items as chew toys. Worse, they can find dangerous items like cleaning products tempting. If you tend to leave things lying around, it’s time to get organized and find a place for your clutter. At the very least, dangerous or valuable items should be locked away or put out of reach. You should shut off any rooms or areas of your home your pet doesn’t belong. Closed doors are most effective, but you can use gates to deny access to open areas or protect your puppy from a tumble down the stairs. When you need to leave your dog at home alone, a crate will be the best way to keep him out of trouble. Crate training will take time, and may involve leaving your dog in his crate for gradually increasing amounts of time. Toys, a bed, and food and water will help your dog adjust to his crate. Of course, you should never leave him unattended for excessive periods of time. The sooner you can get your dog housebroken, the safer your carpets and furniture will be. But in the meantime, puppy pads will give him a place to go in the house without staining the carpet. Cats are prone to scratching furniture, and can quickly tear upholstery to shreds. Scratching posts give your feline friends a safe way to use their claws without destroying your furniture. A determined pet can easily break into or tip over a lightweight trash can. If you really want to keep your pets out of the garbage, you should invest in a heavy-duty trash can with a secure lid. Even your plumbing is vulnerable to pets. Doyle James, President of Mr. Rooter, recommends using a drain strainer when bathing your pets to prevent clogs and blocking or covering exposed pipes and drains. Cat litter is another risk, even if the packaging claims it is flushable. “Kitty litter includes more than just your cat’s waste. It also has clay and sand, which are extremely troublesome for any plumbing systems. The clay and silica clumping litters are designed to absorb moisture and create clumps, which turn into large clogs almost immediately once they enter your pipes,” said James. Pet hair and dander can quickly spread across every corner of your home, causing allergic reactions and blocking your heating, ventilation and air conditioning (HVAC) system. “Use a vacuum with a HEPA filter and an electrostatic duster to remove as much dander as possible,” said Richard Ciresi, Owner of Aire Serv in Louisville, KY.